To serve our members even better, we are announcing the availability of our new Mobile App! 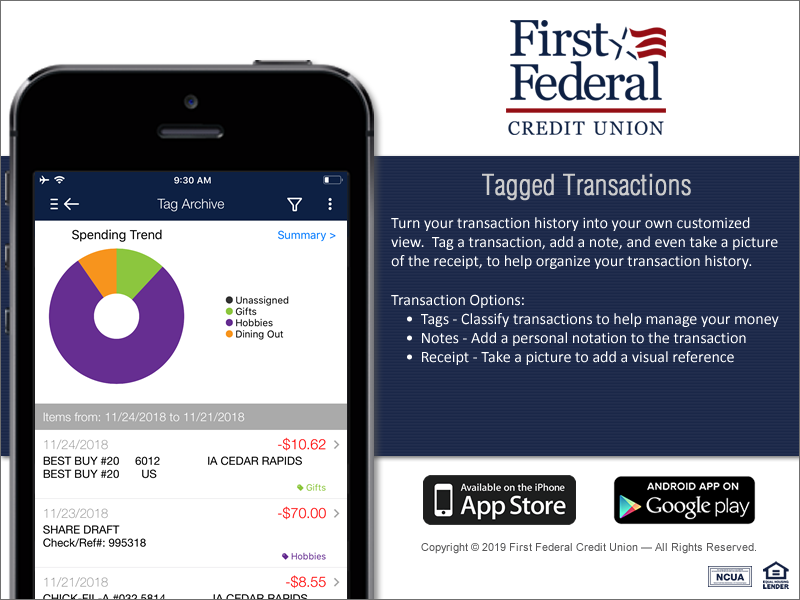 The new First Federal Credit Union mobile app brings a fresh new look, new features and easier navigation to First Federal services. It all starts with the new bio-metric login. If you have a device with fingerprint or facial recognition enabled, you can access mobile banking and mobile deposit even easier! 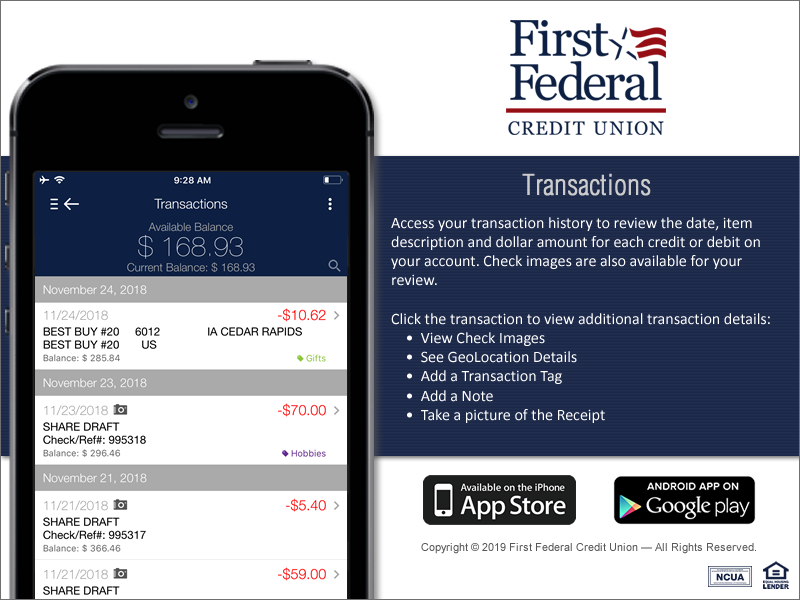 Additionally, the mobile app now offers a single sign-on to mobile banking and mobile deposit. You also have all the same great features such as free ATM locator, Bill Pay, Pay Other People, and transfer money . Here are just a few of the great things you can do in mobile banking now! If you haven’t yet discovered the conveniences of our mobile app, it is available for download in Google Play or through Apple iTunes. 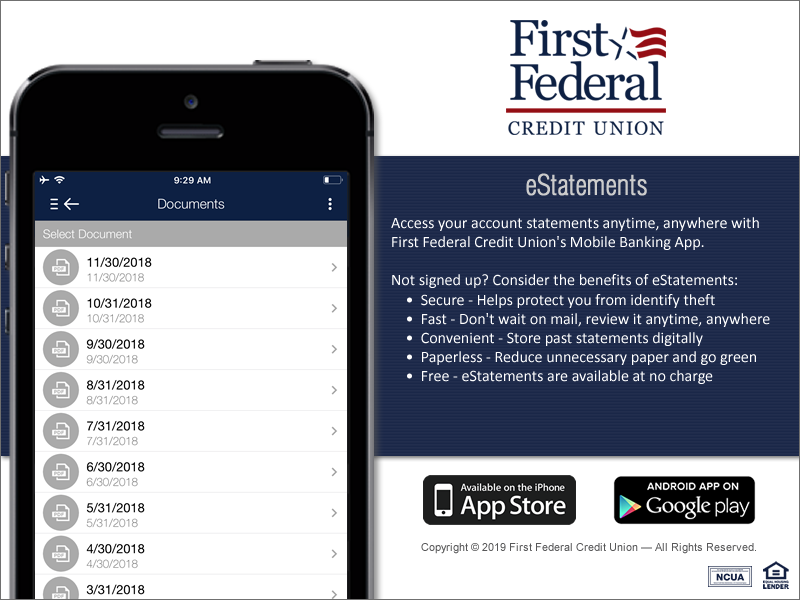 Easy, safe, secure and reliable – start with the First Federal mobile app today! IMPORTANT: If you are an iPhone user, the new app is an automatic update from the existing First Federal mobile app. If your smartphone is on the Android operating system, you will need to download the new app from the Google Play Store.